Thinking of setting up or starting your own Business in Lanzarote. Well here at Clarity’s Business Services we can help you get started. And help you setup your new Business in Lanzarote. There will be no need to worry or get stressed because we will be there every step of the way. To try and insure a smooth and successful launch of your new venture. Firstly, we can help you explore ideas and formalise your business plan. At this point we can discuss whether it would be better to be self-employed or to constitute a business. We can also look at possible routes of finance. Having a clear direction for your business from the outset will ensure that your paperwork and enrolments are arranged precisely and efficiently. If you plan to start your activity under the system of self-employed we only need to enrol you with your NIE number with the correct authorities. Constituting a company is also a relatively straight forward process signed before the notary public, and involves investing a minimum of 3.000 euros. 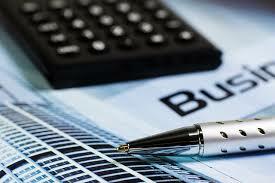 Your company will be assigned a CIF number and will need a business bank account. This can be one of the hardest parts of your new venture. So not only do we offer our business services, but we can also help locate and purchase or rent the correct premises in the correct location. We will do the legwork so you dont have to. If you are planning on opening premises to carry out your business activity, an opening licence must be sought from the local town hall. Various documents must be presented, to obtain this permission. For each individual case, the local should be investigated first to ascertain the likelihood and ease of obtaining the opening licence before any contract with the landlord is signed. Likewise the contract should be drafted or reviewed by a lawyer to protect your interests. For more info please feel free to get in touch. To employ staff, they must have been enrolled at the social security office and have an NIE number. Work contracts come in many different forms depending on the length of time and job description. One days notice is usually needed to produce a work contract. Once a person has a work contract, they can legally work for you. You cannot give a trial run to prospective employees before deciding whether to contract them or not. You are at risk of a considerable fine from the work inspectors if you have employed staff without prior arranging a contract. You can only renew a temporary contract once. If you decide to keep this person on, the contract will become permanent. Neither can the combination of temporary contracts exceed 12 months. At this time you must choose to renew the contract on a permanent basis or not employ the person further. To ensure that you can dedicate your time to your business activity, we provide a full and comprehensive service to efficiently deal with your all your paperwork and fiscal obligations from providing your staff’s payslips to your tax returns. We will guide you from the beginning to ensure you waste no time and provide all that is necessary under the Spanish law correctly from the start. Please don’t hesitate to get in touch for any of clarity’s Business services please use the contact us page for any business concerns you may have. Or why not give us a call today.